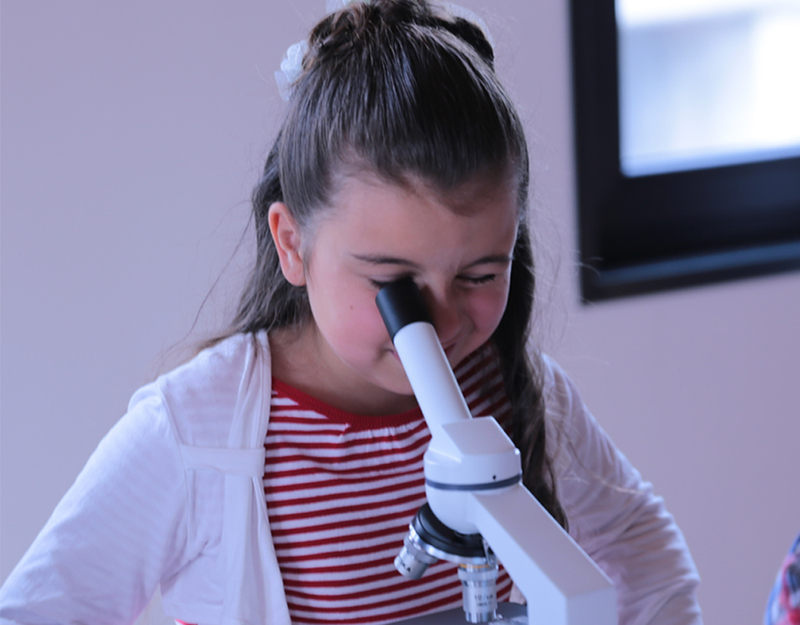 OPTIKA ECOVISION Series includes mainly monocular biological microscopes, and one binocular version, designed especially for students attending primary school. 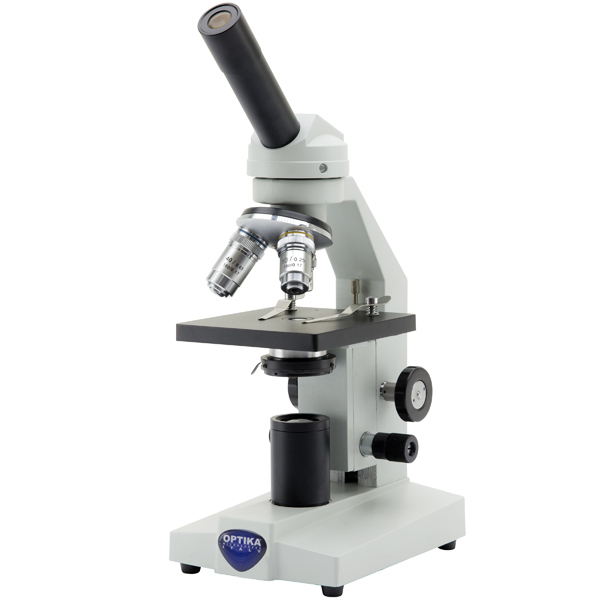 Slim and easy to carry solutions, it is equipped with all the basic controls of an optical microscope and all you need to start learning to use a scientific instrument: 18 mm field of view, up to 400x maximum magnification, several options concerning stages, focusing, condenser and illumination system. This series is characterized by extreme compactness and portability. The instrument can be moved easily in the classroom or even outdoors. 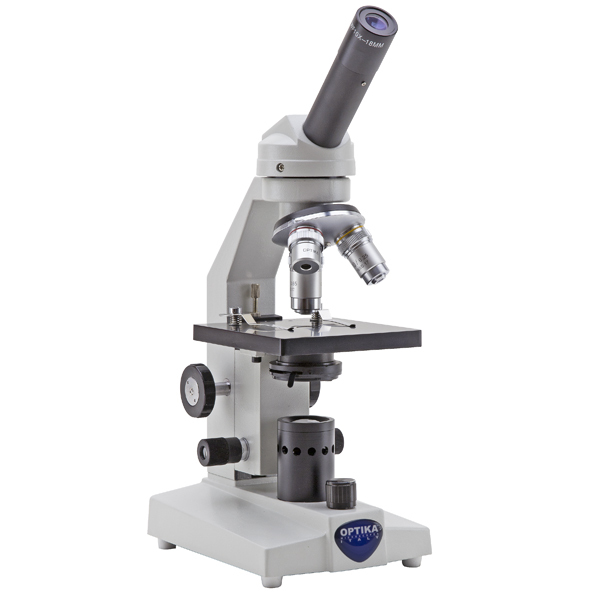 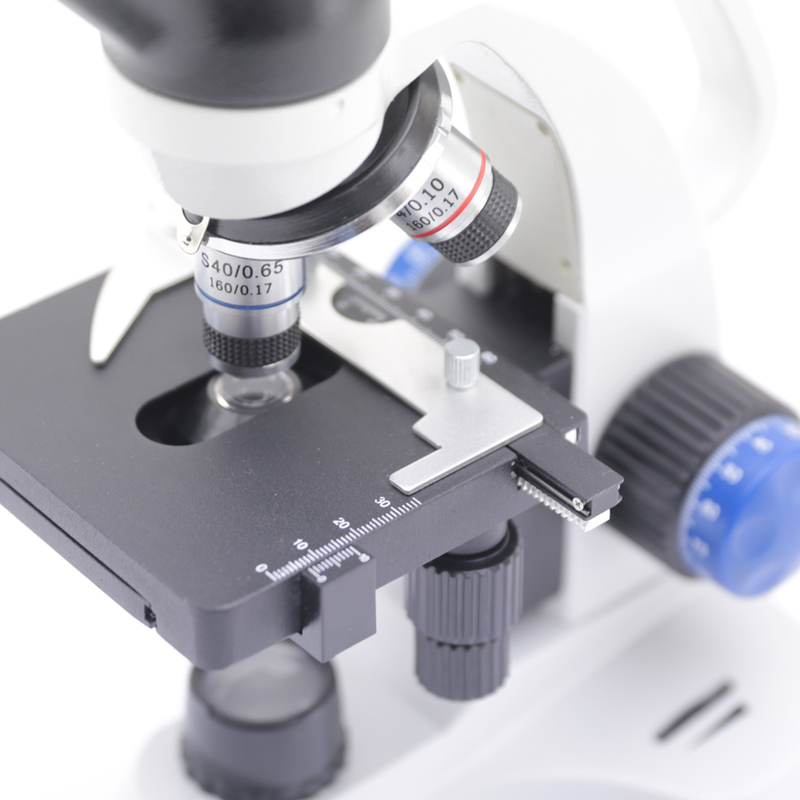 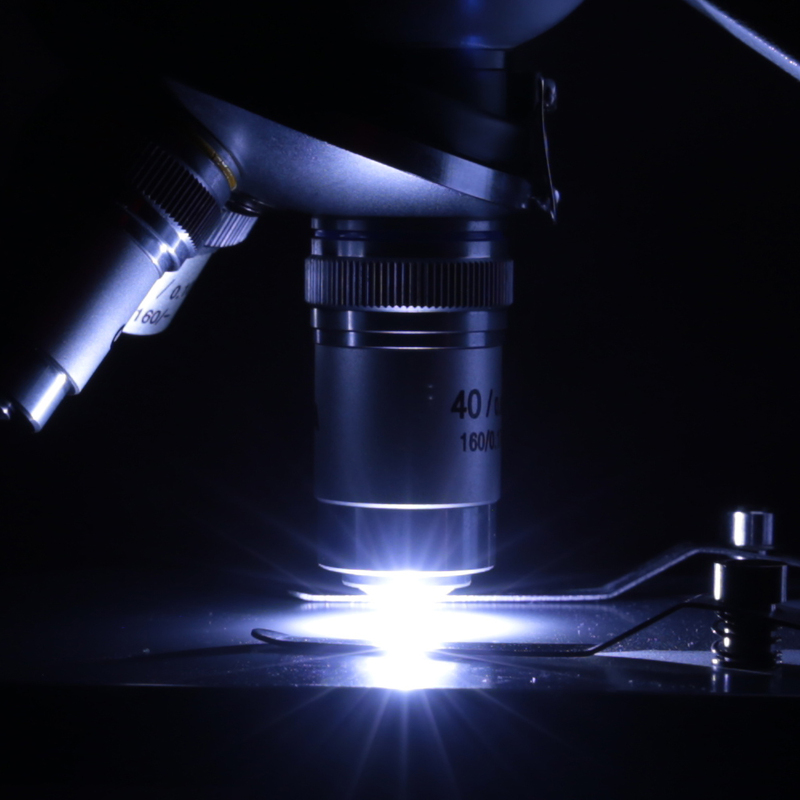 The body of the microscope is slim and, according to the model, provided with a useful handle: the teaching activity will be facilitated and more enjoyable. You find here the basic controls of an optical microscope and all you need to start learning to use a scientific instrument. 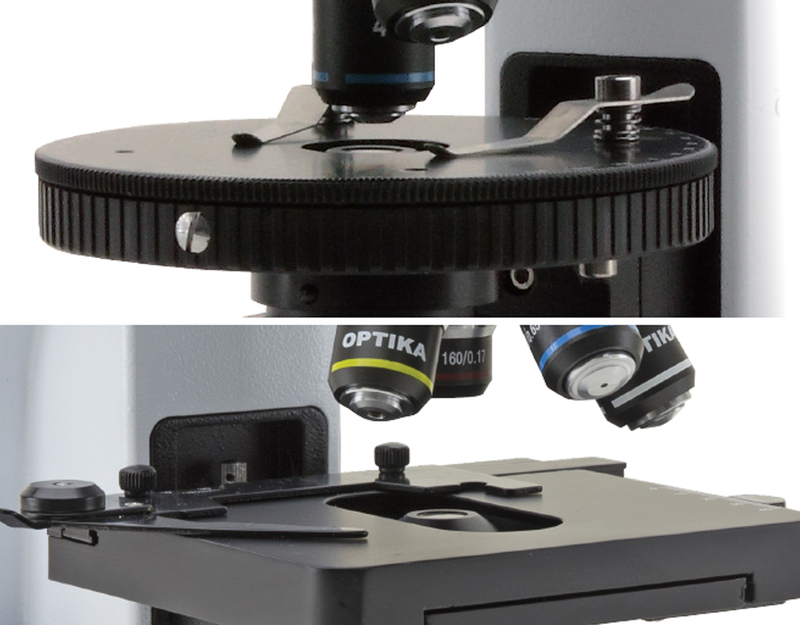 Pre-aligned illumination and condenser simplify the operation and make necessary just the focusing of the specimen by using the dedicated knobs. 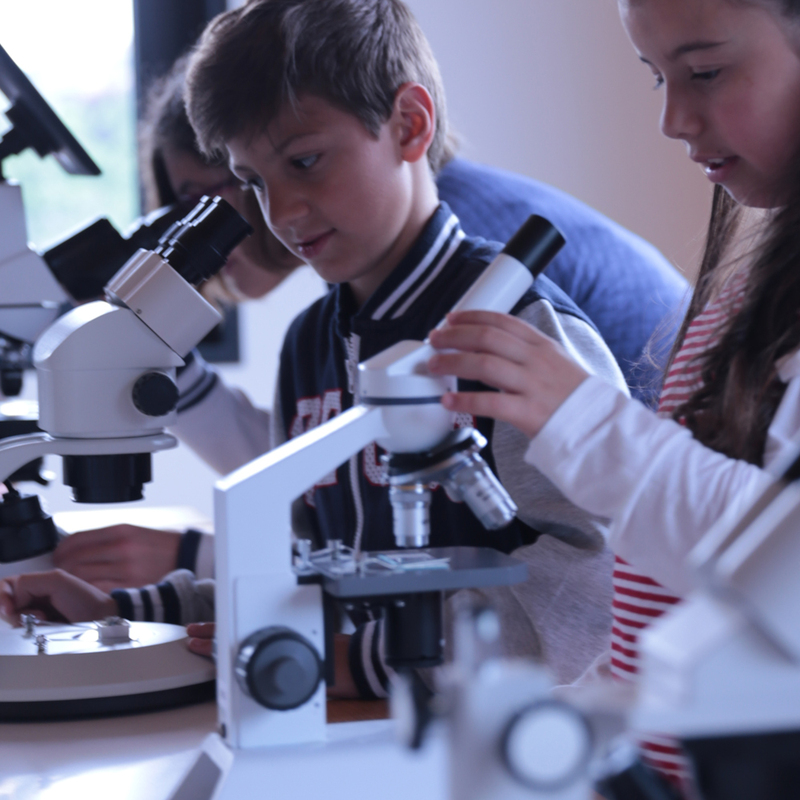 Money & energy saving thanks to LED long lifetime (50.000 hours, 20 years in case of 8 hours/day) which is more than 20 times compared to a standard halogen bulb. Versions with LED have either internal or external rechargeable battery for many hours of outdoor use. 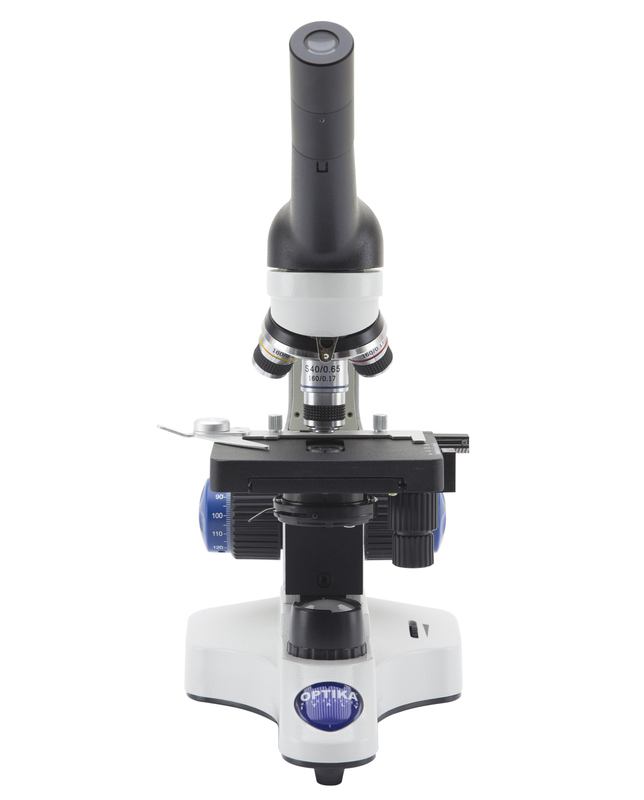 B-50 and B-50B models have a special condenser with a settable, built-in LED light source that guarantees a very bright illumination in a compact and pre-aligned system. 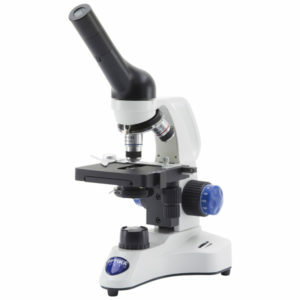 Cordless simple microscope equipped with efficient LED illumination with rechargeable batteries. 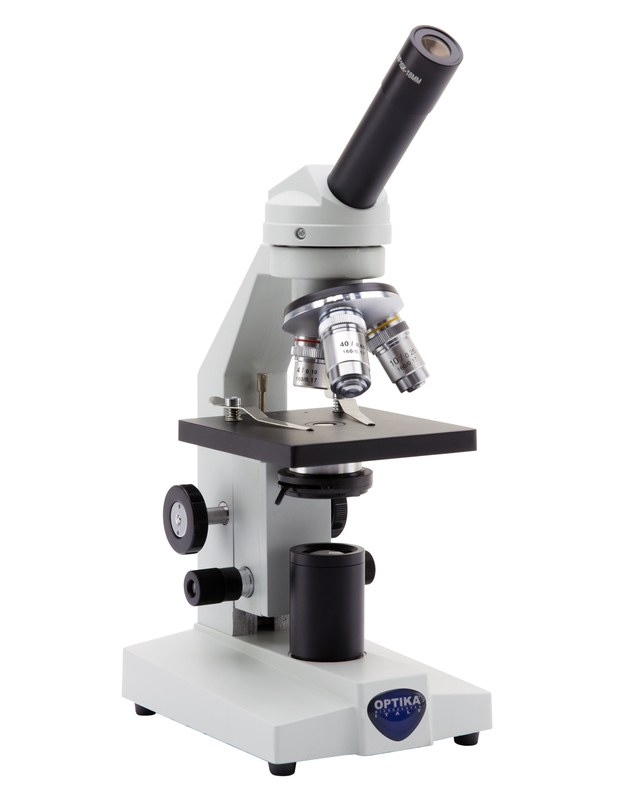 Comfortable handle makes this model ideal for the youngest students. 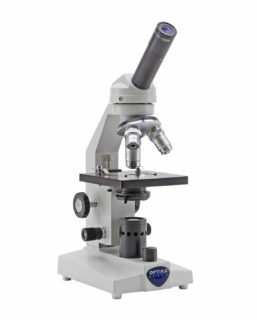 Same as B-20R but complete of mechanical stage, condenser and coaxial focusing knobs. 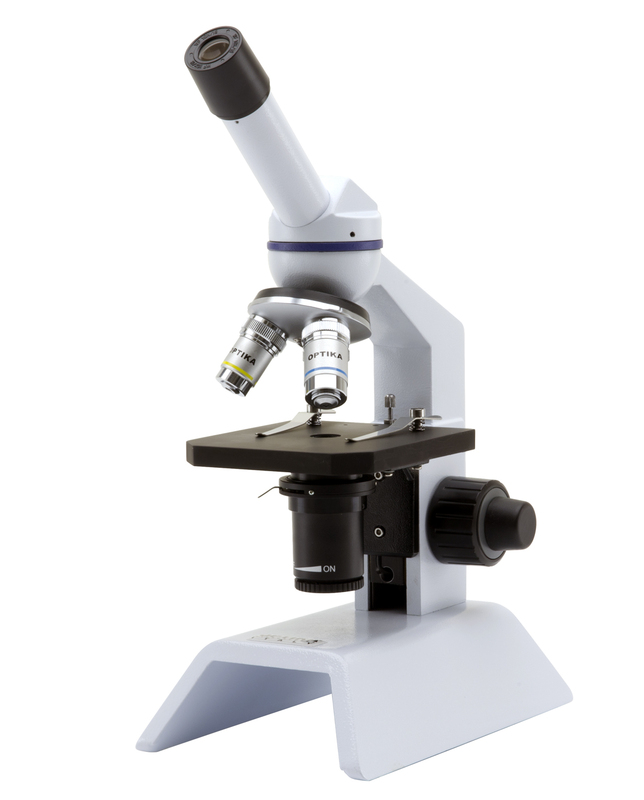 Classic monocular microscope equipped with ultra-efficient LED illumination, 45° inclined and 360° rotating head. 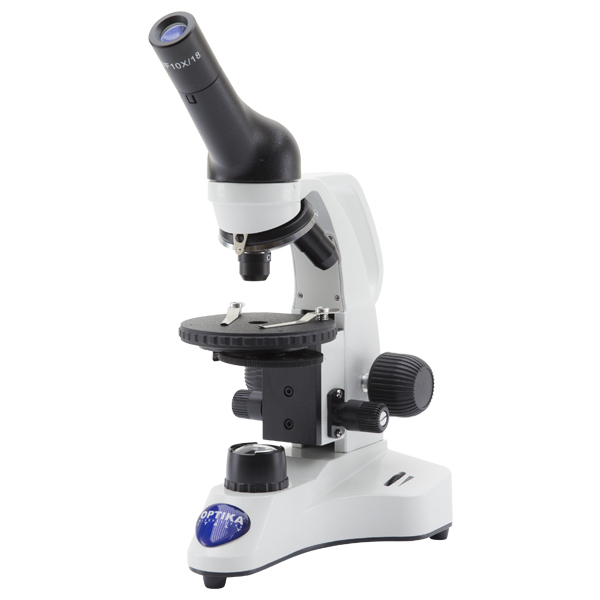 Classic monocular microscope equipped with efficient LED illumination and internal rechargeable batteries which provides up to 8 hours of outdoor use.